MANILA — The release of the final list of candidates in the May 13, 2019 national and local elections was moved by the Commission on Elections (Comelec) to next week, its spokesperson said on Friday, Dec. 14. “The Comelec has announced that the release date for the final list of candidates for the national and local elections has been moved to the latter half of next week,” James Jimenez said in a statement. According to Jimenez, the Commission en banc has decided to move the release date to give them time to resolve pending disqualification cases involving those that filed Certificates of Candidacy (COCs). “This will allow pending issues related to several candidacies to be settled, without negatively impacting the final contents of the 2019 ballot,” he added. “This move is not expected to adversely affect the Commission’s schedule of activities,” he added. 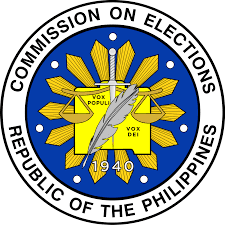 The Comelec earlier announced that it will release the final list of candidates on December 15. The Commission conducted the “trusted build” process of Election Management System (EMS) for the automated election system (AES) to be used in the 2019 elections. The “trusted build” is the process of assembling the overall program that will govern the entire AES using the reviewed components. AES components has passed the international source code review conducted by international systems and software testing firm, Pro V&V, in Alabama, USA. The vote counting machines and counting and canvassing system will also undergo the “trusted build” next month.